When traveling, it is only natural to want to try what is fresh and local. Here on St. John, we are most proud to offer a selection of beautiful fish caught right from our Caribbean waters. We reach out to local fisherman who line catch the fish that is available during the season. Usually we will get in touch to see what they have brought in, and on occasion we can put in a request for a specific fish. One of the most popular fish we serve is Mahi Mahi (also known as Dolphin Fish or Dorado) which is available year round. It is a gorgeous fish with a very mild flavor. It’s large moist flakes are firm but tender and it is slightly sweet. Because of it’s versatility, we use Mahi as a blank canvas–we can prepare it to your liking or use our creativity to create something unique and memorable. 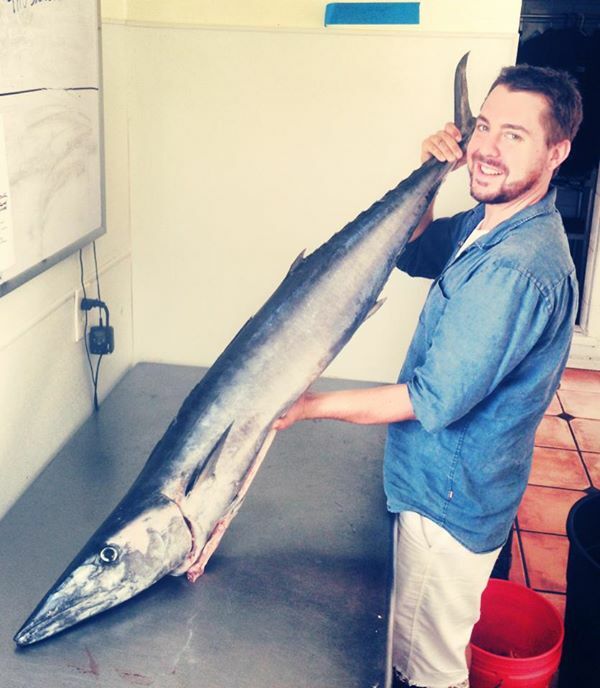 In the winter months we are able to get a mild, firm, nearly steak-like fish called Wahoo. It has a mild flavor profile and large circular flakes. This fish is best served grilled or seared about medium rare. It is a fish that can be easily overcooked, so leave it to our talented chefs to perfectly prepare it for you. 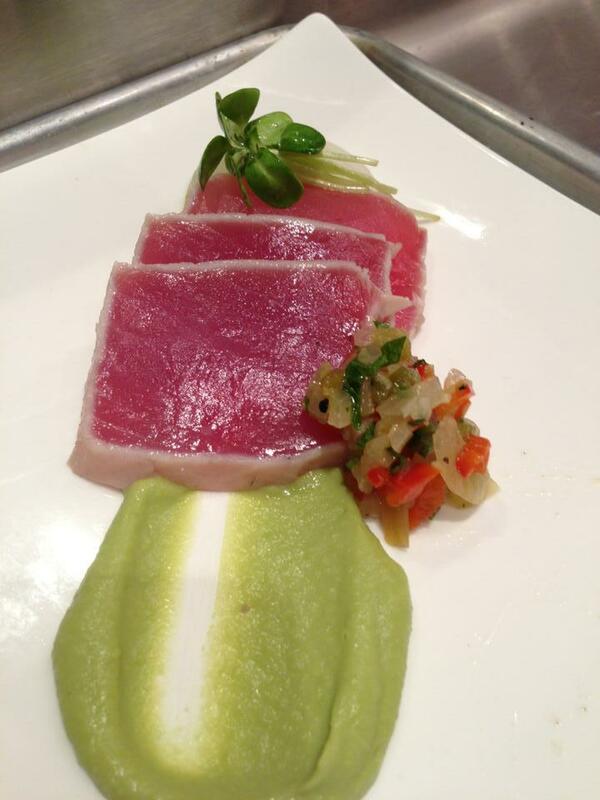 A favorite world wide is Yellowfin (or Ahi) Tuna. This sushi grade fish is a deep red color with a mild-medium flavor and is very firm. It is absolutely delicious raw in a tartare, or seared rare. Tuna is also really wonderful grilled with a dry rub. We are also sometimes able to get in smaller tuna known as Skipjack or Blackfin. 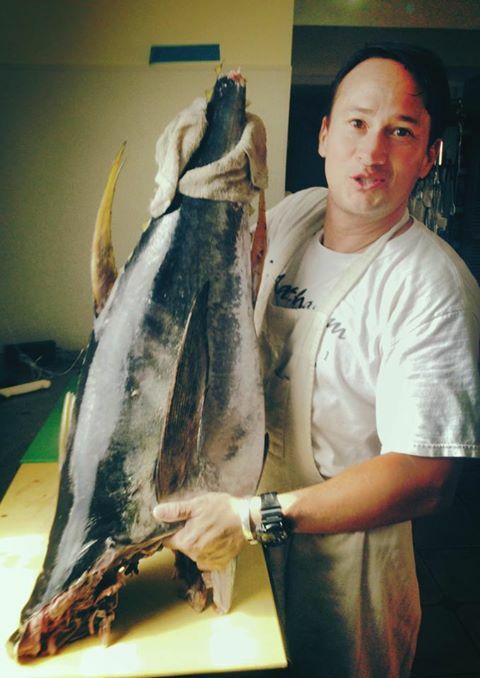 Tuna isn’t as common as Mahi but we will do our best to secure one for your event. Caribbean (or Rock) Lobster is a treat much unlike Maine Lobster. Unlike lobster from the Northeast, Caribbean Lobster do not have claws so their meat is all in the tail. The flavor and consistency is different too. It is more of a texture like shrimp and a sweetness like crab. While this is pretty hard to procure locally, we do come across it from time to time and would be happy to include in on your menu if it is in the kitchen. Last but not least is local Conch. This is a rare find as it is a local West Indian favorite so it is usually snatched up, but when we are able to get our hands on some it is a fantastic choice. It is a sweet, white meat that is great as a ceviche, or pounded thin and lightly sauteed. In fact, it can be served most ways : baked, broiled, grilled, fried, poached, steamed, even smoked. Not only is it a wonderful treat, the mollusk’s shell is gorgeous and quite the souvenir! When planning your next event, be sure to ask our staff what type of fish is in season or put in a request for “fresh fish” and leave the rest to us–you won’t be disappointed! 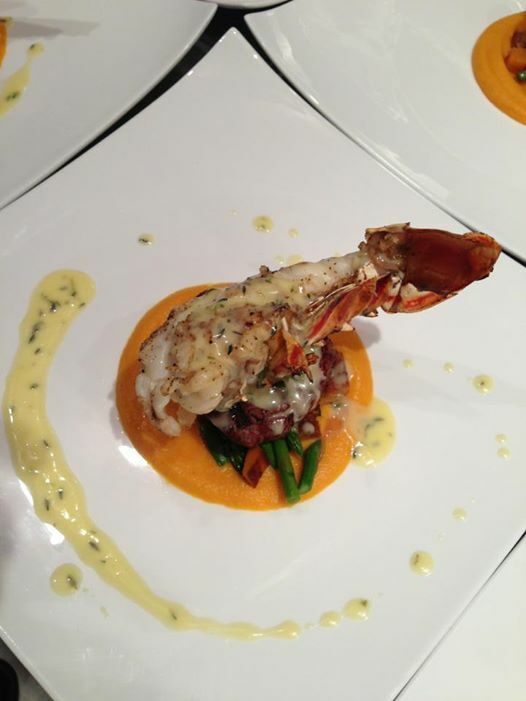 This entry was posted in In The Kitchen and tagged caribbean, caribbean fish, caribbean lobster, catering, conch, fish, fresh fish, line-caught, lobster, local fish, mahi, mahi-mahi, Mathayom Private Chefs, rock lobster, st. john, St. John Catering, tuna, Virgin Islands, wahoo, yellowfin, yellowfin tuna. Bookmark the permalink.